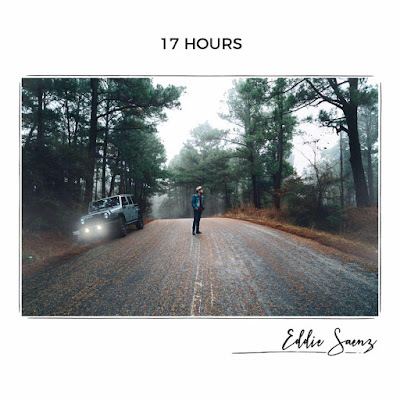 Last month in April I shared a single review of the song “When I Was Young” by Eddie Saenz. Now, after dealing with crazy work schedules, shows and the release of two singles we were able to sit down and discuss his upcoming project “17 Hours”. 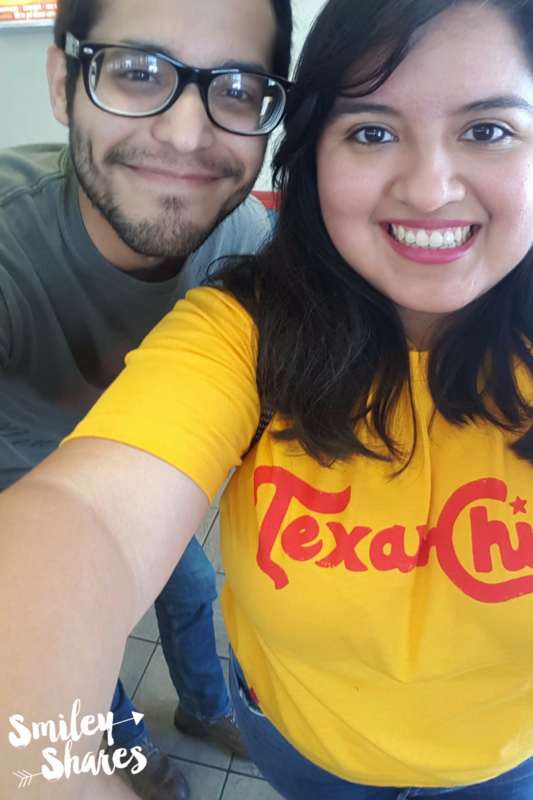 We were able to meet up at the place where Texans unite, Whataburger. Eddie Saenz took the time to not just discuss the process of the album, but also shared his perspective on life and craziness that it means to be young, tired of living of your hometown, and realizing the importance of growing up. How was this project different to the first album? How was the process different? E: When I made the 2013 EP it was just really kind of like, “I have these songs let’s go into the studio and do it”. It was just kind of thrown together with little to zero intent, as far as how the songs intertwined with each other, told a certain story it was just kind of like “here are some songs I wrote in an unorganized fashion” .This time around, I’ve grown to become a fan of concept albums and I don’t think “17 Hours” is necessarily a concept album by any means, but it is definitely a lot more carefully selected as far as the songs go. They all kind of intertwine to tell the story of “When I was Young” as the debut single wraps up. The recklessness and restlessness of being 18-19 years old in a new town, falling in love for stupid reasons, and partying way too much and just kind of like phasing out of it. Songs were selected around that story. You, like many others artist here are now a representation of the Valley. What kind of artist do you hope people will know you as? E: I guess as someone who is honest and just not afraid to talk about life. Like with my song, I can’t help but to write from personal experience and what I am going through. That is what I write 90% of time and then other 10 % percent it is about someone who is dealing contraband (laughs). For me it is all about the growing stages and phases of life and while I enjoy the party songs and I think they are good for what they are, most of the time my material tends to lead towards late night life talk, the kind of thing you may have like at 3 in the morning. You have very specific ideas as to what the album is supposed to be. What are you expecting for the listeners to get out of it? E: I would hope they would get the same thing (laughs). I guess, what I would hope the listener would get out of it is feel that connection to those phases in life, look back and reflect on maybe how fun it was, and how dumb it was, how stupid we’ve been and maybe how many mistakes we’ve made along the way. To look back and reflect on those things, move forward and progress out of those mistakes we make in our late teenage years, early 20’s,or early adult years. Taking it for what it is and not taking it too seriously, but seriously enough to grow from it and move on. You’ve said some of the songs are personal, but then you have other songs that aren’t personal and are more of your perspective on a character. For you as a songwriter, is it easier for you to write about your own personal stories, or being able to write about someone else’s life? E: It is definitely easier for me to write about personal experience. I draw inspiration from everything and anything that is happening around me, whether it has to do directly with me or not. With “The Poor Man’s Son” the one track on the record that I am pretty sure is just about another person and not me, for that one I really had to dig in deep for that information. It started off as a lyric writing assignment in my senior year in college, I was taking a lyric writing course with one of the best lyricist ever Tom Douglas. His assignment for us was to go to a starbucks pick up a copy of the New York Times an pick out a story and then write a lyric about it. I did that and at the time a famous drug cartel guy had just gotten apprehended again, but the article I found was written more from a biographical standpoint than it was of a news story, it was of more of his back story as a person and how he grew up and how he is now. I couldn’t help but have a perspective on the whole situation and make sense of why he is doing what he is doing, because that is all he knows what to do. Not that I condone drug violence or doing drugs in any manner. But when you can learn about someone’s life in that way, it really forces some perspective down your throat. That is where that song was born out of, the necessity for a good grade. I was very into that story. The whole contraband thing because we live in The Valley has always drawn a really big interest in me. It is very common here. I’ve heard stories of kids that get wrapped up in the business of contraband without knowing of the consequences. The song itself takes you through the whole “journey” of it, in this case at the end there is a moment of reflection where he realizes there is no turning back and his life will end in jail. E: Yeah, there is that bit of reconciliation that I would hope he actually feels in real life with “waiting around to die and I guess I am going to hell” he just knows he has not lived a good life. The song gets a very split reaction, most of the time it is positive but then I’ll get the occasional one or two people that will come up to me after playing that song at a show and just don’t agree with that song. I don’t know what message they think I am trying to say. I don’t know if they think I am trying to glorify it or something, that wasn’t the intent and I hope that is clear within the last verse. You’ve been very open about the time you spent in Nashville. My question is why come back to the Valley to do music? Why not somewhere else in Texas? E: Well the Valley has always been great to me. I’ve loved growing up in the valley. I think regardless of how I felt about it as a teenager. When I turned 14 I was just ready to get out and high school could have not gone by faster for me, as soon as I could get out, I did. I went to college in Belmont University, graduated from there in 2014. That’s what put me in Nashville in 2010, and then a hung out for about a year after that and then I moved back summer of 2015. For several reasons I decided to move back 1. I had just gone through too many things up there musically, with the atmosphere, and I thought that I was just not going to fit into the Top 40 mainstream and I’m just not going to fit in completely into the whole Americana thing, two very far ends of the spectrum for me. I felt I fit somewhere in the middle and well Texas Country has always been a good melting pot for people. Texas country tends to gather a lot of people who could just as easily be Americana and people who could just as easily be Top 40. I felt better in the melting pot here, that’s one big reason I decided to move back. The other thing is working 3 part time jobs to pay rent and keep the lights on, keep the water going and then also to pay for the album (laughs). I was just super exhausted of working 3 jobs moving furniture, bartending/bar backing, working security for venues, I was just kind of tired of doing those 3 things all the time. I think at one point I worked 80 something days straight and then finally took a day off to go play a songwriters round. It was no way to live and kind of run through my money. At that point we laid down four songs in the studio and then I was short on money again, that’s when I decided to just move back and work, live at home since I hardly saw my parents at all through college because I’ll stay up in Nashville through the summer. I figured I’ll just come back, take advantage of that for the time being and save some money. To wrap it up, I miss the valley, miss the family, out of money, want to record music, want to make music, can’t do it anywhere else. I asked Matt from Matt and the Herdsmen this same question, in your opinion what sets South Texas Country music apart from the rest of Texas Country music? E: I think South Texas Country puts a great emphasis on the essence of the two step. I think that’s a big thing that some artists are missing, the two step, the dancehall atmosphere, the set that has the real actual honky-tonk shuffles and the train beats that Matt and The Herdsmen do really well. Music and dance have always gone together since the beginning of time. They have not ever lived apart from each other that is something that will always be a constant. I feel like the Texas Country/Red Dirt genre has kind of lost some of that, despite the Turnpike Troubadours they probably do the best job as far as dancehall beats, with the shuffles and the train beats and all that. I feel like South Texas artist really nail it when it comes to dancehall music. In past interviews and on your social media bios, you credit a mix CD given to you buy an older cousin as inspiration, and I know it for sure included some Cross Canadian Ragweed. I don’t know if you have already done this but, if you were to give someone a mixed CD of your own or playlist what would it include? E: That’s a solid question, I love that. That is something I am working on now doing for my Facebook fans, do a Spotify playlist for them. It would probably include a lot of Alt-Country because that is what I’ve been into the past 3 years of my life Ryan Adams, his former band Whiskey Town, definitely some Son Volt…., some Drive by Truckers, anything and everything Jason Isbell has put out within the past 3 years since Southeastern, Robert Earl Keen, Guy Clark, and then getting into the honky tonk singer- songwriter stuff Merle Haggard, tons of Willie Nelson (huge Willie Nelson fan). It would be a whole lot of classic country, singer songwriter, people who tend to take care of songs is what I feel I would put on there for people. 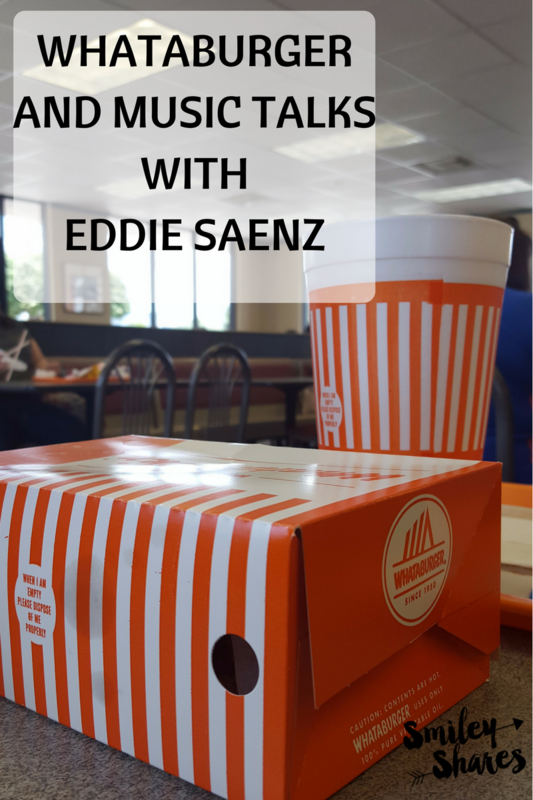 Last question, what does Eddie Saenz order at Whataburger? E: The chicken strips #13. Well that was the last question. E: Love it. Feel like you can learn a lot about someone from their Whataburger order.